Please call (203) 481-2225 to schedule an appointment. We will be happy to answer all of your questions! The mission of Back to Health of Branford is to provide you and your family with the most comprehensive health care available in the New Haven area. In keeping with our mission of treating the whole person, Back To Health employs the skills of Medical Doctors, Chiropractors, Naturopathic Physicians, Acupuncturists, Physical Therapists, Massage Therapists, and Exercise Physiologists to ensure you a diagnosis and a speedy recovery. We will accommodate your needs when scheduling. Appointments can be made for the same day. After scheduling your appointment, please print and complete a first visit form located under the Forms menu. This is a medical practice and the medical plans that we participate in may vary. It is important to check with our administrative office to review and verify your exact benefits. We can accommodate adults and children over four years old. We are not an emergency facility so we ask that those with emergent conditions to use a hospital Emergency Department. A chiropractor will attempt to restore motion and put the spine into the correct position or alignment. Trauma to the spine can cause a disc to bulge or become herniated. This can cause pain as pressure is put on the spinal cord. Symptoms include local, radiating pain down one or both legs. Chiropractors are experts in the treatment of neck pain. We locate and resolve the underlying causes of pain and discomfort. The chiropractors in our office have treated thousands of neck and back related injuries. Our approach is to restore the body back to normal with careful painless chiropractic adjustments. Naturopathic Medicine is a natural approach to health and healing that recognizes the integrity of the whole person. Methods of treatments are chosen to work with the patient’s vital force, respecting the intelligence of the natural healing process. The practice of Naturopathic Medicine comes from six underlying principles of healing. Naturopathic physicians try to remove obstacles to healing and recovery and seek to identify and remove the underlying causes of illness rather than to merely eliminate or suppress symptoms. Naturopathic physicians follow three guidelines to avoid harming the patient that include minimizing side effects of substances, suppressing symptoms and respecting the self-healing process. Naturopathic physicians educate their patients and encourage self-responsibility for healthand treat each patient by taking into account individual physical, mental, emotional, genetic, environmental, social, and other factors. Since total health also includes spiritual health, we encourage individuals to pursue their personal spiritual development. Acupuncture can be traced back at least 2,500 years and the general theory of acupuncture is based on the concept that there are patterns of energy flow (Qi) through the body that are essential for health. It is thought that disruptions of this flow may be responsible for disease. Acupuncture can correct imbalances of flow at points close to the skin. Acupuncture involves stimulation of locations on the skin by a variety of techniques. The most studied form of stimulation of acupuncture points involves penetration of the skin by thin, solid, metallic needles, which are manipulated manually or by electrical stimulation. Massage Therapy promotes healing. Whether you are suffering from disease, illness, injury, pain or stress or you are a doctor treating patients, medical massage therapy speeds healing and recovery. Medical massage therapy is successfully used to treat cancer, growing pains, headaches, illness, migraine headaches, diseases, muscle soreness, pain and discomfort associated with pregnancy, and injuries including After scheduling your appointment, please print and complete the first visit form found on this web site. Thank you for visiting Back to Health of Branford, your source for Medical, Chiropractic, Naturopathic, Massage and Acupuncture in Connecticut (CT). Exercise Physiologists are best described as health and fitness professionals. They specialize in helping people benefit from exercise. They help professional athletes perform better, longer. They help patients recover from various diseases. 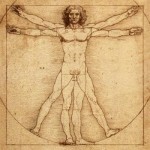 They also perform various types of research revolving around the human body.